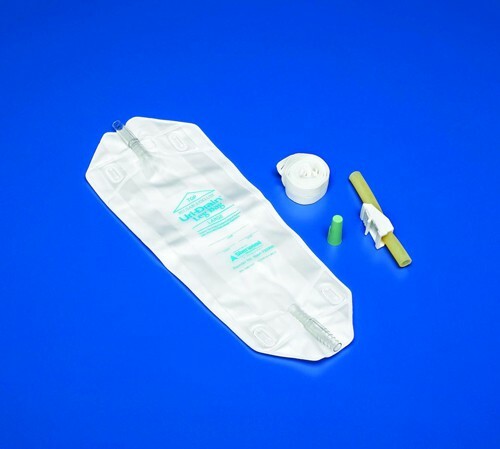 Kendall URI DRAIN Reusable/Deluxe Leg Bags are sterile legs bags with Anti-Reflux valve. Kendall URI DRAIN Reusable/Deluxe Leg Bags have a tapered design with flocked vinyl backing. Short, permanently bonded connector with backing flap. Kendall URI DRAIN Reusable/Deluxe Leg Bags have expandable, pleated sides. (Large). Heat-welded seams. 5" drainage tubing with thumb release clamp, 9/32" I.D. Best product on the market . I use this product every day and it fits perfectly. It is a lightweight and durable product. Also, these leg bags are very easy to empty and use them again. I am totally happy that I have found these leg bags. It's my job to take care of my old grandpa who cannot stand on his own. He tried several leg bags before. After using this, we came to the conclusion that this one is the best. I like it's reusale and expandable. Glad that my grandpa has finally got the thing that fits him.